It's August so of course you're wondering what winter is going to be like, right? Of course not. 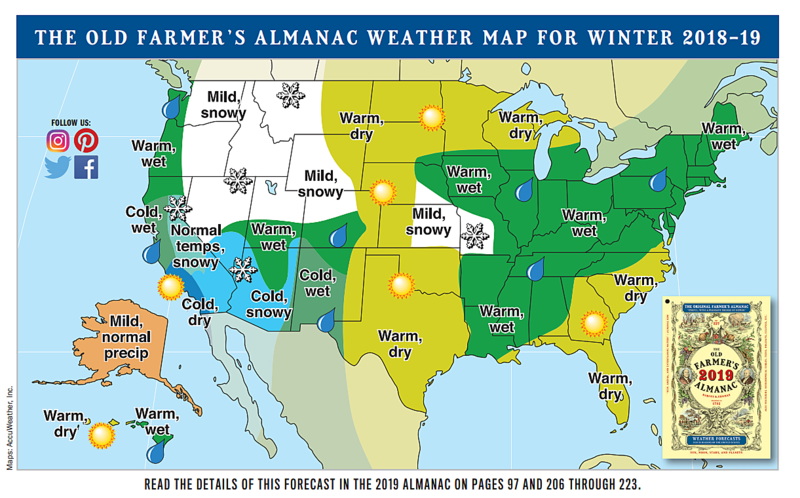 But I started thinking about it when I got a copy of the 2019 Old Farmer's Almanac in the mail here at the station. 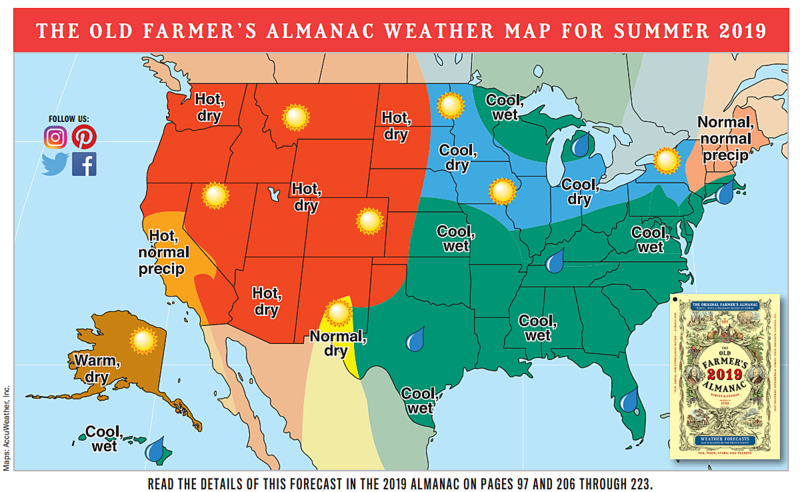 According to the Almanac, all of South Dakota is going to see a warm 2018-2019 winter. The extreme south eastern corner of the state will be wet while the rest of the state is going to be dry. Sioux Falls is right on the border of this map so who knows? The summer of 2019 is going to be different than this summer. The drought monitor says we are only seeing small amounts of drought this year. Next year is supposed to be dry statewide. The west side will be hot while it will be cool on the east side of the state.